Christchurch, like every other atrocity before it, has shone a light on the healing threads in our society. The good, decent women, men and children who have gone out of their way to show their humanity. Their actions have been given wings on traditional and social media and sent the strongest message to those who are defined by vitriol and hate. We firmly believe healing threads can help weave a new narrative of understanding and tolerance. Each thread has the ability to heal. As we continue to process the horror and give our children strategies to deal with the tragedy perhaps we should point them towards these stories and images of healing. A traditional Maori greeting, which translates to the breath of life and unity. People have cast aside religion or prejudice to attend mosques for the first time and express their sympathy in person. They have often brought along their children. New Zealand Jews shut synagogues on Shabbat for the first time. “We offer our full assistance and support to the Muslim community.” Tweeted Isaac Herzog, head of the Jewish Agency for Israel. The floral tribute spans several hundred metres already and includes messages, balloons, soft toys and tributes to the many affected by the attacks at Masjid Al Noor and Linwood Masjid mosques on Friday, March 15 2019. 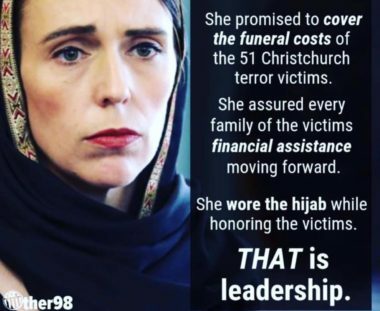 Prime Minister Ardern has called upon us to remember the victims and not give the perpetrator the notoriety he or she craves. Thousands attended vigils in cities across the world including at Melbourne’s State Library. Abdul Azis was armed with just a hand-held credit card machine and rushed at the attacker. Abdul is an Afghan refugee and was at the Linwood mosque with his four sons. New Zealand Prime Minister Jacinda Ardern has garnered global praise for her leadership. Her narrative throughout the tragedy is being driven by tolerance, love and compassion as opposed to the divisiveness and fear we are accustomed to in modern political discourse. Subscribe to more content for social good by tapping here. Tagged in Diversity, engaging women, platform for social good, social good, videos, women in leadership.